← Progress of the Seasons Journal: 14 May, 1832-1862. Progress of the Seasons Journal: 15 May, 1832-1862. PLEASE NOTE: THIS IS THE LAST OF OUR REGULAR PROGRESS OF THE SEASON BLOGS FOR THIS SPRING. The great flush is passing and our own fieldwork is picking up so we will go to a more irregular schedule. We will try to post at least weekly summaries. Thanks for following us this far! 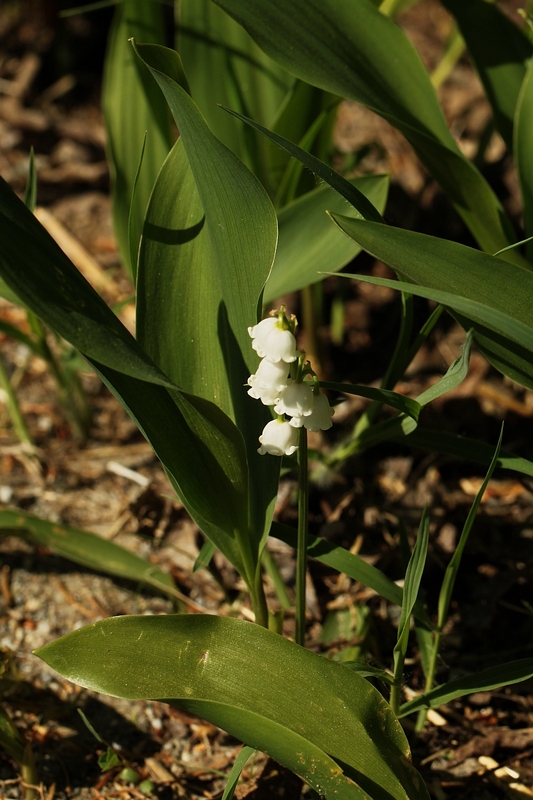 Current Columbia County Phenological Events for 2015: Lily of the Valley and Cypress Spurge near Sheffield, American Wild Currant in Claverack. Dragonflies and butterflies (including Duskywings and Black Swallowtails) popping. 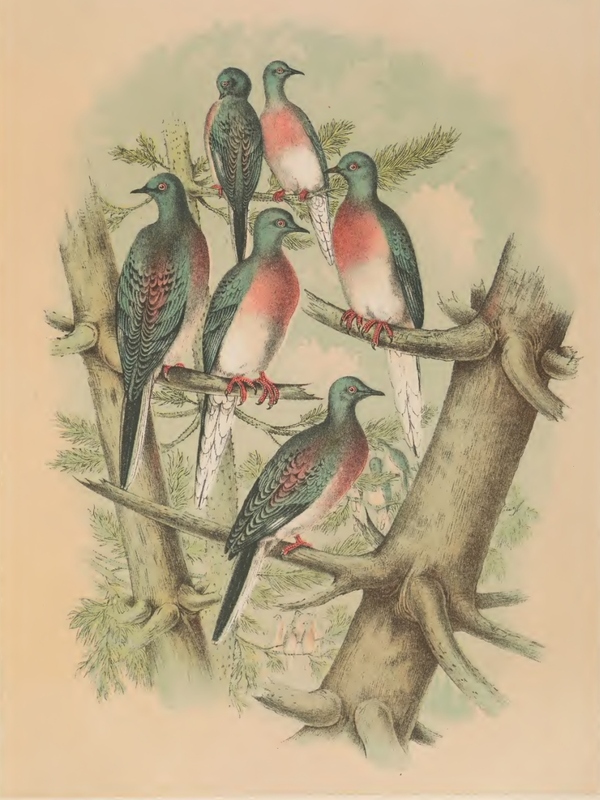 A cluster of Passenger Pigeons, from Studer’s “The Birds of North America”. One of not so many contemporary images of multiple roosting Passenger Pigeons, even though this is probably how they spent much of their time. Alexander Coventry lived just south of the mouth of Stockport Creek in the late 1700s. His detailed dairy is a engrossing to read. Amongst accounts of his days are several references to “pigeon” hunting. Presumably he is referring to Passenger Pigeons. On April 6th, 1789 he reports, “Vast quantities of pigeons in the morning; got nigh a flock with upwards of a 1000”. Earlier, in Sept of 1787, he mentions another hunt in which some people killed as many as 20 a piece near a patch of salty clay where the birds liked to congregate. Passenger Pigeons were part of the County fauna as they were of the NY fauna. In our phenology data, there are more than 100 notes of “pigeon” arrivals. These are never referred to as “Passenger Pigeons”, that name was not in common use at the time. They are occasionally referred to as “Wild Pigeons”; the then-frequent name for Passenger Pigeons. It seems likely that most if not all of our Pigeon reports are of what we today call Passenger Pigeons. Domestic Pigeons, given their year-around presence, would almost certainly not be tallied in the accounts (and would have probably been called “Doves”). The other possibility is Mourning Doves, but these were apparently commonly referred to as Carolina Doves or, sometimes, Carolina Pigeons. However, there is no reference to such birds, nor to many other common birds, in the data. The dramatic arrival of the roaming Pigeon flocks would certainly have been worthy of note, and so, while I may still be proven wrong and while some errors may have snuck in, I am currently assuming all of our “pigeon” reports in our data refer to this species. There, caveats aside, I will plunge on. The geographical distribution of ‘Pigeon’ records in our phenological data. CLICK TO ENLARGE. First, it is interesting to use the data to get a NYS Passenger Pigeon distribution map. These roaming birds likely visited almost every part of the State during their periods of greatest abundance (even by the 1800s, they were probably ebbing), so, if anything, our map highlights areas of relatively high use, rather than outlining the species’ complete distribution. Use seems patchy with the Catskills, Adirondacks and central Finger Lakes regions reporting few Pigeon sightings, and the area just west of the Adirondacks appearing to be relatively commonly used. The geographical distribution of Passenger Pigeon records from Schorger’s 1955 “The Passenger Pigeon”, as tabulated by passengerpigeon.org. CLICK TO ENLARGE. Conveniently, we have another map against which to make comparisons. In 1955, A.W. 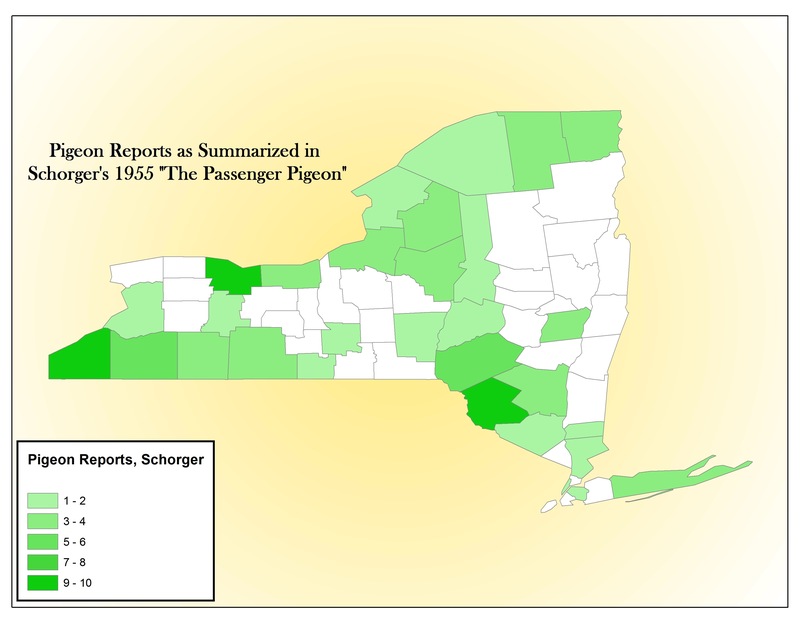 Shorger did an exhaustive summary of the records of Passenger Pigeon occurrence, and this has since been tabulated on the web by Project Passenger Pigeon. One can also summarize those data for the same period of years and present that as a map. While not identical, that map shows similar ‘holes’ in the birds’ occurrences in the Finger Lakes and Adirondacks regions. Again, this is not a complete map, I only included Schorger’s specific, tabulated county records for the 1832-1860 time period. It’s incomplete; for example, Schorger himself reports great “Hudson Valley” flights and, as already noted, we have explicit earlier records from here in Columbia County. We can only speculate on what might have helped create the patchy pattern. Reportedly, the birds were often mast eaters, and so presumably would have favored forested areas with ample Oak, Beech, Hickory or Chestnut. They may have thus skirted areas of evergreen forest or extensive farmland. However, they also ate berries and cultivated grains during their seasons, and there are reports of them roosting in evergreens (see for example our accompanying image from Studer). 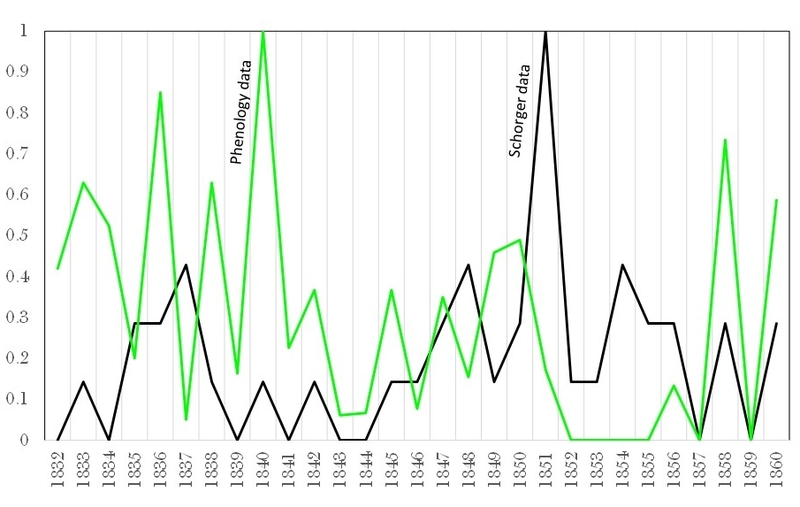 The relative number of Pigeon records by year in our phenology data (green) and Shorger’s book (black). Certainly not identical, but perhaps some vague parallels. See text. The relative height of records from late in the period are somewhat suspect as the number of participating academies dipped in our sample and as any Passenger Pigeon sighting became more of a news item. CLICK TO ENLARGE. Passenger Pigeons were erratic, and so our last graph is of the data from the phenology records and Schorger’s publication, summarizing the abundance of records for the period 1832 – 1860. In the phenology data, the number of bird-watching academies varied substantially across this period. To try to control for this somewhat, the phonological data presented are actually based on (Number of Pigeon Sightings) / (Number of Robin Arrival Records). The two data sets, Schorger’s collection of 19th century records and our phenology data, were standardized by dividing the observed value for a given year by the maximum observed value from throughout the whole period. In other words, the % value on the graph is present of maximum observed annual occurrence. Again, the patterns from the two sources are not identical but they do hint at some patterns. For example, throughout the 1840s, Pigeons seemed rare in the State. This was followed by an uptick in the early 1850s, and possibly, a subsequent drop. Interestingly however there are not clear ‘Pigeon Years’ evidenced by comparing the two data sets. The last few years of the phenology data are suspect because so few stations were still participating in the record keeping. The graphs are perhaps cold ways to chart an extinct species’ ecology; but I can’t help but imagine the conversation that may have occurred in some of the academies when Pigeon flocks arrived. No doubt some talk of hunting, but perhaps also a general excitement at witnessing such a feat of Nature. Painted by eyewitness Charles H. Shearer, this reproduction appears in J.C. French’s 1919 book “The Passenger Pigeon in Pennsylvania”. However, I’ve not been able to find a color image of the painting. Any leads appreciated! Perky young Royal Ferns in Sheffield, MA. Herbs: In 1851, New Lebanon reported blooming Windflower (Wood Anemone). 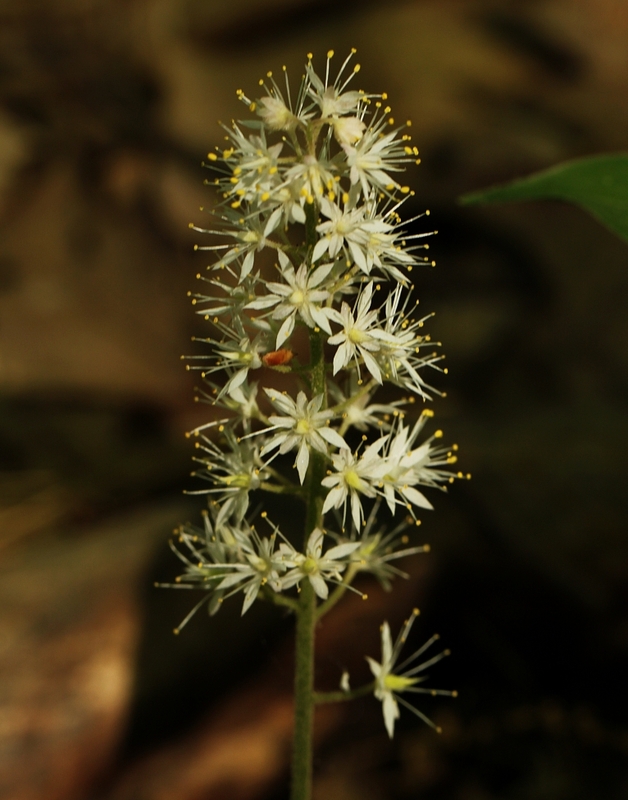 Spencertown observed flowering Huckleberry and Dandelion in 1855. Woodies: In Fishkill Landing, Tree of Heaven and Mountain Laurel leafed in 1857, their Lilac flowered in 1858 and blooming Horse Chestnut was observed in 1859. In Spencertown, 1855, Spice Bushes, American Elms and Locusts were in leaf and flowering Wild Black Cherries were also reported. In New Lebanon, Honeysuckle blossomed in 1851. Birds: Year’s first Catbirds appeared in Spencertown in 1855. Other Critters: In 1855, reports of first appeared Toads in Spencertown. 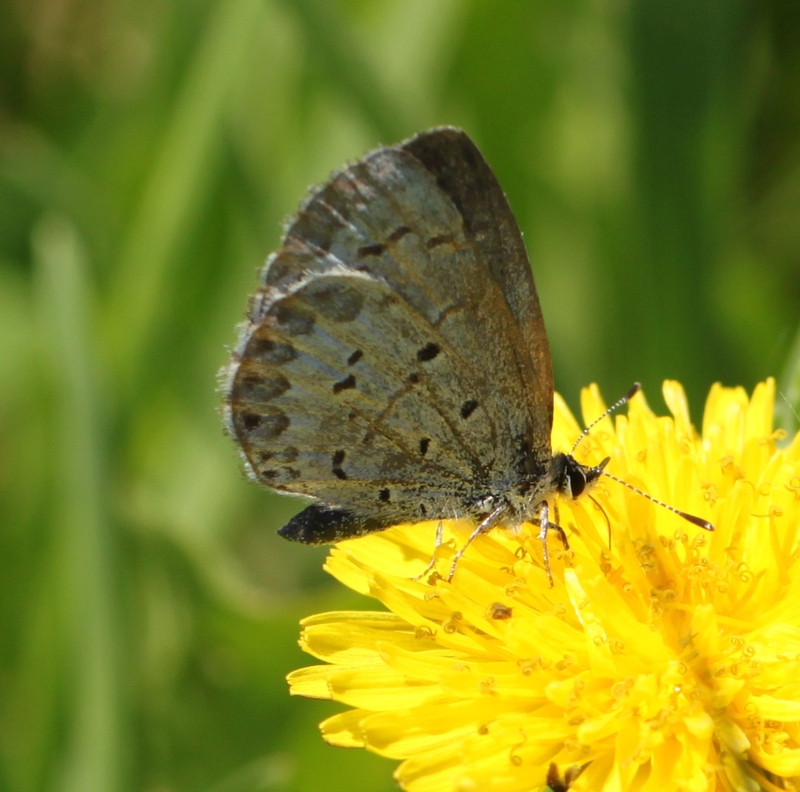 A Spring Azure in search of sustenance. Agriculture: Spencertown noted blooming Cherries, Pears and Plums in 1855 and Raspberry leafed out a year later on the same day. In 1843, Kinderhook reported flowering Cherries and in 1832, blooming Apple trees. Bloomed Currants noted in Amenia in 1849. Herbs: Appeared blooming were Pawpaws, Wild Geranium, Mayapples and Peonies. 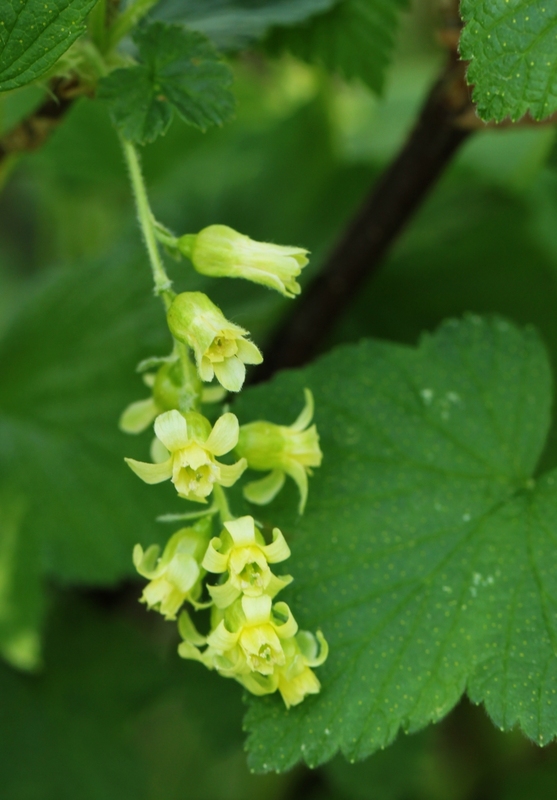 Flowers of Wild Black Currant (Ribes americanum), a native, wetland species, flowering in Claverack. Those glandular bumps on the leaves are apparently distinctive. Woodies: Observed in leaf in single reports included Flowering Dogwood, Tree of Heaven, Choke Cherry, Spicebush, Black Locust, American Elm, Grape, and two reports for leafed Basswood. Specimens bloomed were Lilacs and Dogwoods in four reports; Sugar Maples, American Bladder Nut, Honeysuckle, Mountain Ash, Laburnum, Elm and Hawthorn in lone reports; three reports of bloomed Horse Chestnut. Birds: Bobolinks, Martins and Whippoorwills had first appeared. Agriculture: Pears bloomed in two reports and six reports of flowered Apple trees; Tomatoes also bloomed and Strawberries first appeared in markets. 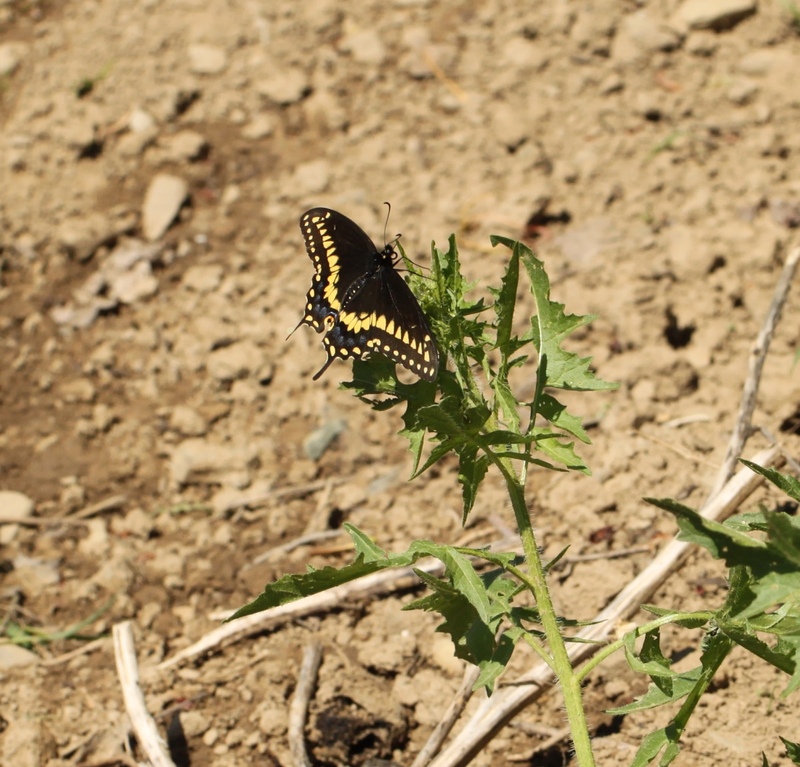 The first Blackswallowtail I’ve seen this year, a male (given the wide band of yellow) from yesterday in Claverack. Woodies: In leaf were Sugar Maples, Elderberry and Red Maples; Shadbush, Sugar Maple and Lilac were reported as in flower. Agriculture: Apples had produced leaves and Currants flowered. The head of Foam Flower. Now flowering in Sheffield, MA. Herbs: Paired reports of bloomed Dandelion. Tulips and Myrtle also blossomed. Woodies: Shadbush and Dogwood had flowered. Birds: Two reported first arriving Bobolinks; Hummingbirds and Whippoorwills also appeared. Agriculture: Cherries, Plums and Apples had flowered in two reports each; Also bloomed were Strawberries and Currants; Plum trees put forth leaves. Herbs: Dandelion noted as flowered in paired reports. Other: Year’s first Butterflies arrived in Hamilton, 1843. 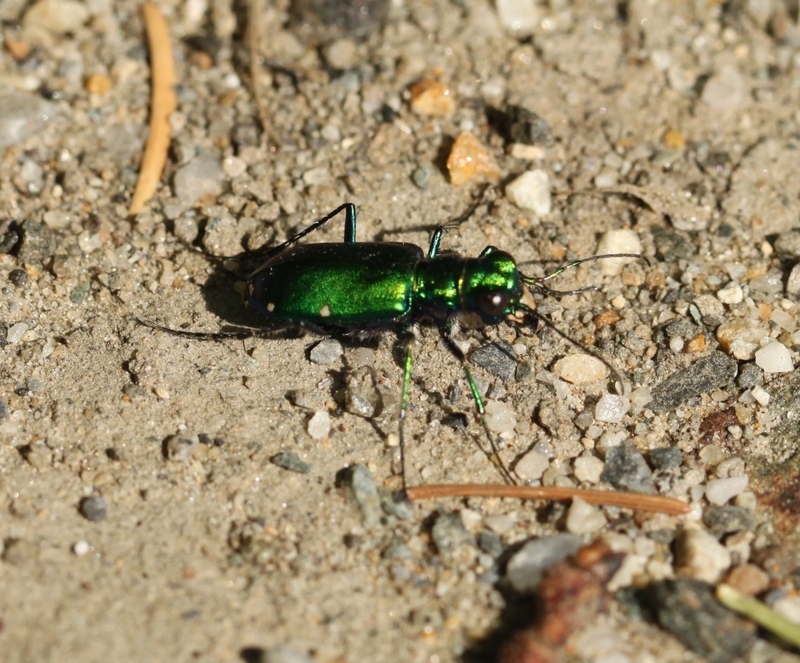 A Six-spotted Tiger Beetle stalking prey. Photo from Sheffield, but have seen them here too in recent days. Agriculture: Plums and Currants bloomed in two reports; six observed flowering of Cherry trees; Apples bloomed in three reports; also blossomed were Strawberries. Herbs: Lilly of the Valley, Saxifrage, Dandelion and Meadow Rue flowered. Woodies: Elderberry and Butternut flowered; Sugar Maple and Red Maple produced leaves. Birds: First arrived Barn Swallows. The exotic Lily of the Valley is now in flower in Sheffield. Agriculture: Nine reports for blooming Apple trees; Cherries bloomed in six; Plums blossomed hosted two reports; observed flowering Peaches and Gooseberries. Herbs: Wild Columbine reported as blooming. Woodies: White Oak leafed out in two reports and Snowdrop also produced leaves; Shadbush bloomed noted in two locales. Birds: Hummingbirds arrived in two reports and Bobolinks appeared. Agriculture: Apples flowered in four reports; three reports for planted Corn, blossomed Plum and bloomed Strawberry; two reports for bloomed Cherries, Gooseberries and Currants; six reports of bloomed Peaches; in leaf were Apples and Blackberry. 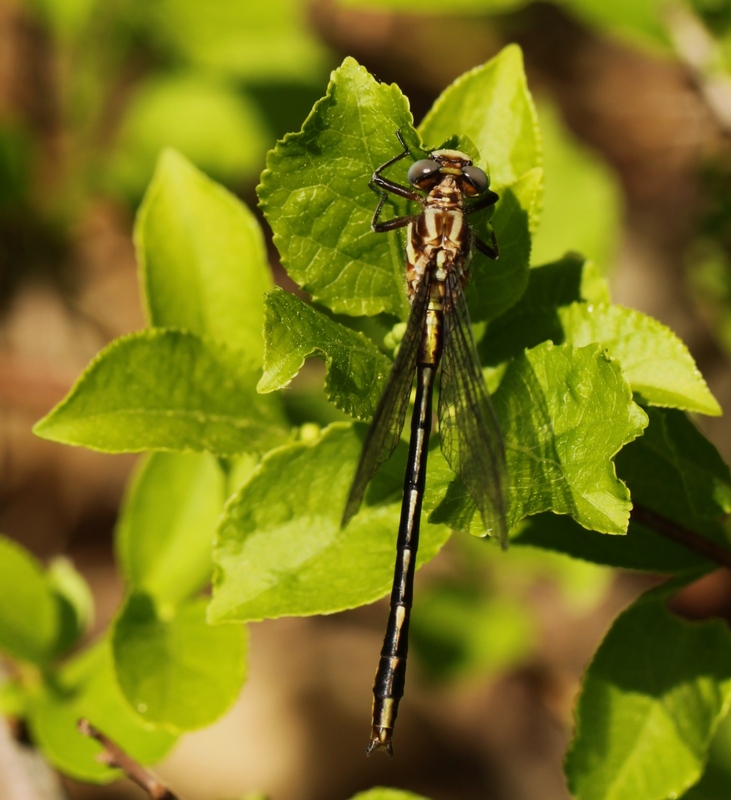 A resting Clubtail (possible a Lancet Clubtail), several were flying yesterday in Sheffield, MA. 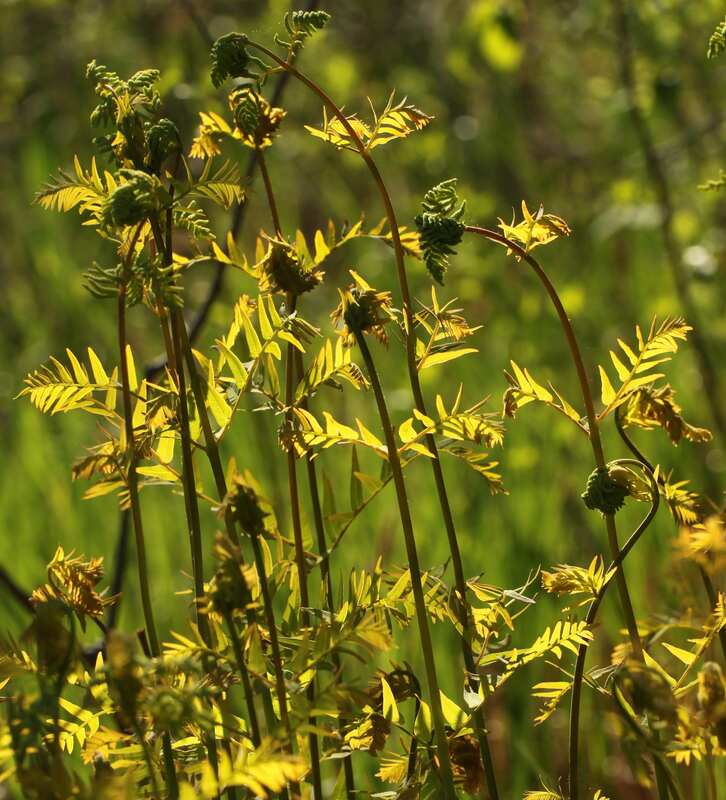 Herbs: Two reports of blooming Two-Leaved Bishop’s Cap; three for the flowered Violets; Chickweed, Wild Columbine, Trillium, Meadow Rue and Foam Flower were also observed in blossom. Woodies: In leaf were Locusts, Hawthorn and Flowering Dogwood; reported as bloomed were Horse Chestnuts, Birches, Hop Hornbeam, Elderberry and Shadbush. Birds: Bobolinks, Chimney Swallows and Cat Birds reported as arriving. Agriculture: Strawberry, Peach and Pear all bloomed in two reports; three noted flowering of Plums; Apples and Cherries were also observed blooming. 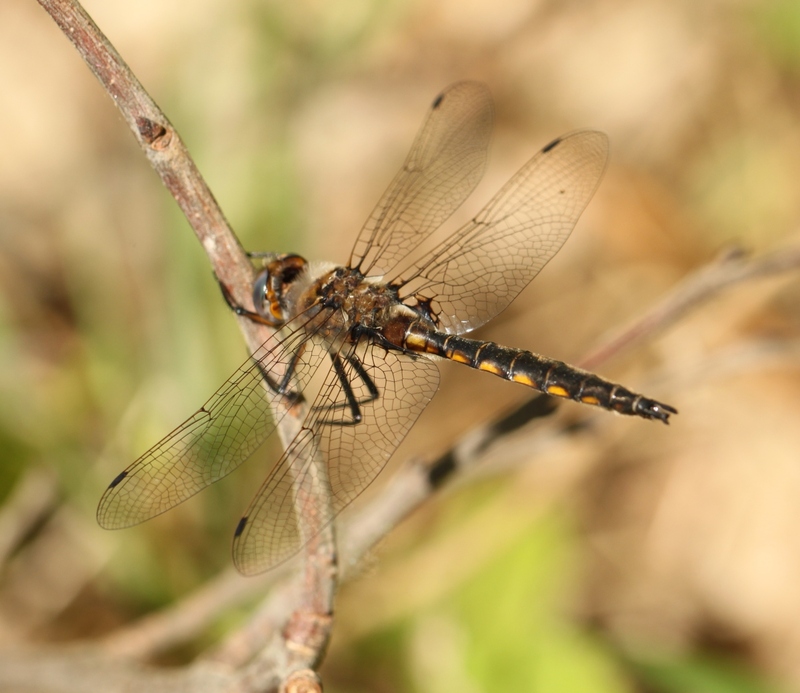 A Baskettail Dragonfly, also from nearby Sheffield, MA. Woodies: Lilac reported as in bloom in one locale. Birds: First Whippoorwill of the year heard in Gaines, 1840. Agriculture: Currants showing leaves reported. Herbs: Showy Orchis reported as blossoming. Woodies: Snowball Viburnum (or Guelder Rose) and Lilac had flowered. 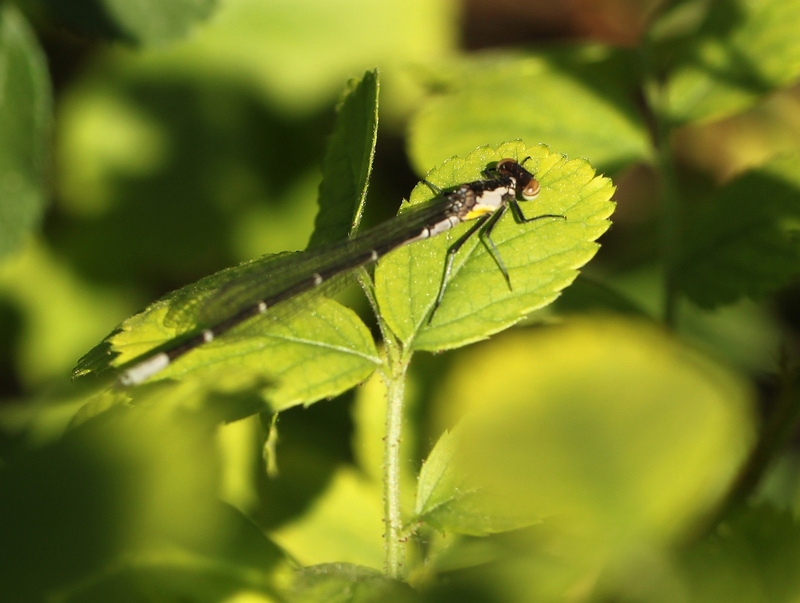 An Aurora Damselfly from Sheffield, MA. Birds: Arrival of Whippoorwills reported. Agriculture: Cherry, Plum, Raspberry and Strawberry reported as blooming.